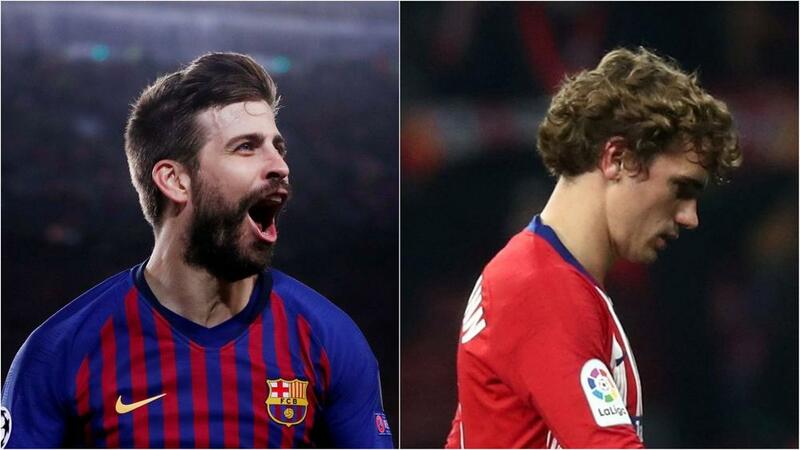 Having been involved in Antoine Griezmann's 'La Decisión' documentary last summer, Gerard Pique says he has no plans to produce a sequel for the Atletico Madrid striker. "If he wants to come, you have to ask him," Pique told reporters after a 4-1 win at Real Betis on Sunday moved Ernesto Valverde's side 10 points clear of Atleti at the top of the LaLiga table. "Another documentary? Not for the moment. And if there was, I would not tell you." "He's a special footballer," Pique added. "There have been others in history, but Leo has been doing it for 14 years, and he's unique in that there's no one like him. "These are three very important points and the difference is also very important, but there is still a lot to play for, the sensations are good, but you have to go step by step. "It's good that people are excited, but with their feet on the ground, LaLiga is closer, but the Champions League has shown us that in the quarters things are complicated for us." Barca have been knocked out in the quarter-finals of the Champions League three years in a row, including a collapse against Roma in last season's competition having taken a 4-1 first-leg lead.